Looking for a great gift to give for the Holidays? 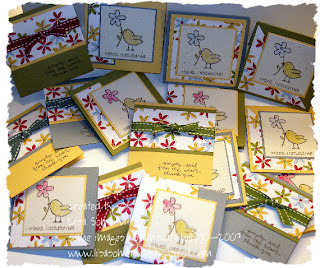 Here's a great project that only uses a little more than a 1/2 a piece of Designer Series Paper. Watch for directions in my November Newsletter updates! Now is a great time to stock up on your DSP - more details on the Paper Party Promotion . Email me today to order your paper and save! Adorable little 3x3's. I need to start cranking them out for teachers gifts. Love that paper too! This looks like a fantastic project. How do I sign up for your newsletter?